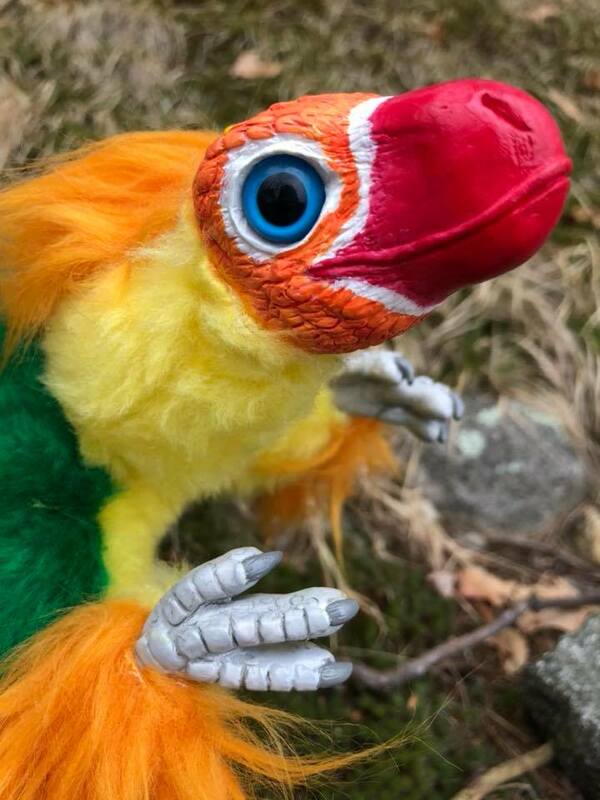 When I attended Anime Boston 2017 last year as part of Artist Alley, I only brought along a handful of my Baby Raptor poseable art dolls, as I wasn’t sure if anyone attending the show was going to want to buy larger, more expensive plushies. To my shock, all of the raptors I brought were sold out during the first hour of the show! Many con-goers saw the raptors on my business cards and were disappointed that none were left for the majority of the convention, so I tripled my efforts to hopefully make enough to last a bit longer this year! 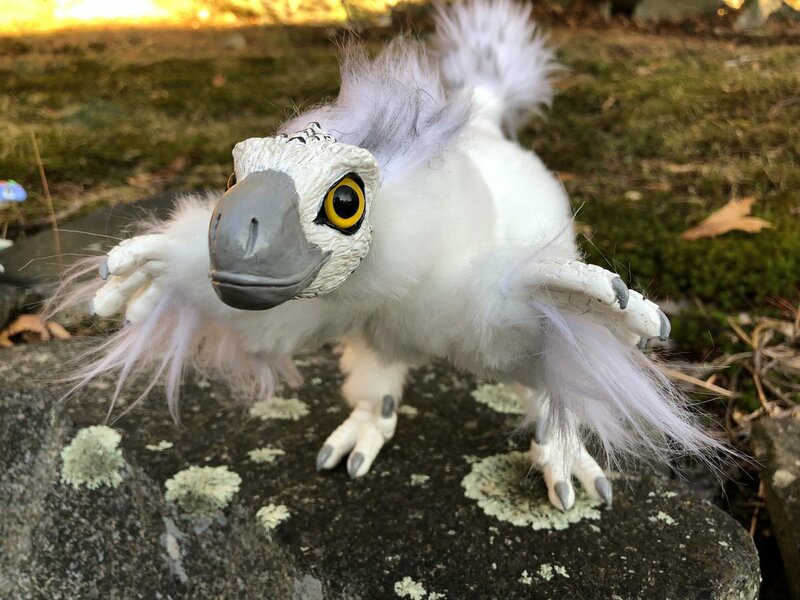 Here’s a preview of a few of the baby raptors that will be for sale at The Creaturesmith Anime Boston 2018 booth at the end of the month…. As usual, each of this batch of Baby Raptors stand 8″-12″ tall (depending on how their posed), and about 18″ long! 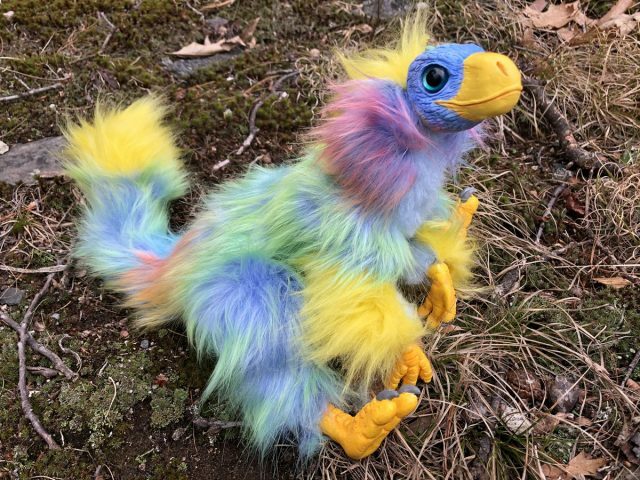 I’ll also be selling my very first Rainbow Raptor at the show (seen below)! I’m really thrilled with how it turned out, and I hope someone at the event will want to give it a loving home! 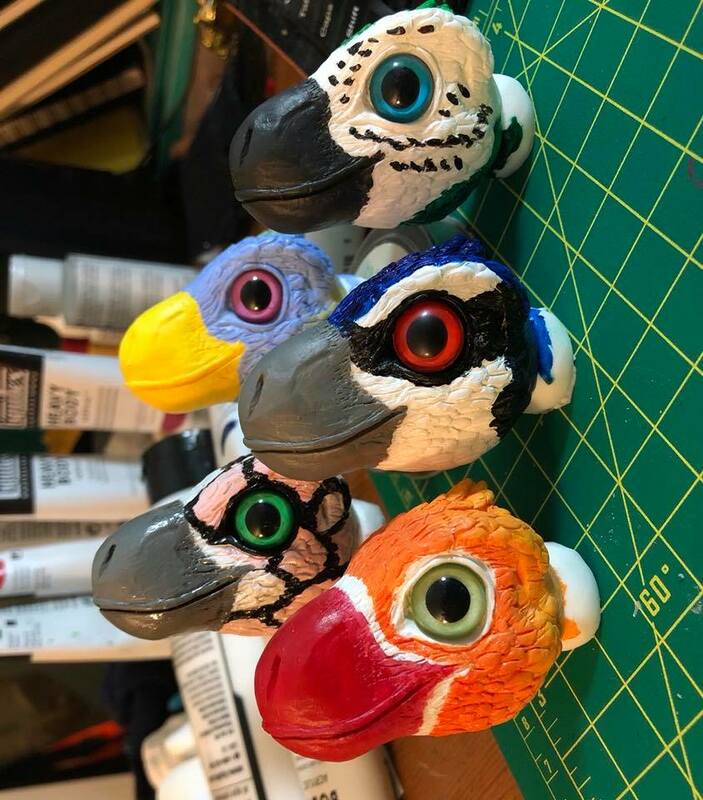 If any of these cuties don’t sell at the event, I’ll place them for sale on my etsy store the week after Anime Boston 2018.
f you’re not attending the show but would like a similar raptor to one of these–or a custom design all your own–feel free to shoot me a message and inquire about a commission! 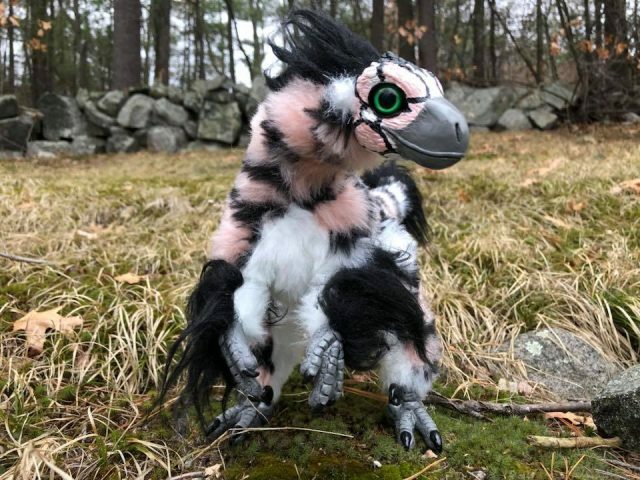 I’ll begin work on new commissions for custom colored baby raptor art dolls and other creatures at the start of April, just as soon as I get back and recharged following the 2018 Anime Boston!